Looking for a fast-growing career field? Look to healthcare, which is one of fast-growing job categories in the country right now. The U.S. Department of Labor’s Bureau of Labor Statistics says healthcare occupations are expected to grow 18 percent by 2026. That’s a whole lot faster than average job growth rate, which the bureau defines as career fields that will grow between 5 and 9 percent from 2016 to 2026. Why is there so much growth in the healthcare industry? You can blame that on the country’s population getting older. Almost everyone needs more medical treatments as they age, and the healthcare industry has to figure out how to respond to that need. 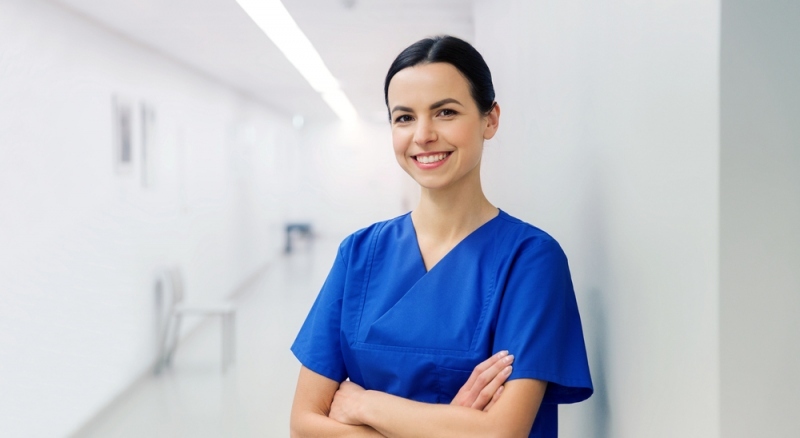 Here are a couple of other reasons to consider a degree in nursing or a related field. In the year 2018, more and more workers are finding that a bachelor’s degree doesn’t hold the same promise it did a few decades ago. It’s not uncommon for fresh college graduates to drive for a ridesharing service or do another job that is considered part of the gig economy. An increasing number of employers just don’t want to hire full-time employees to avoid having to offer benefits like health insurance. But while other fields are dealing with too much supply and not enough demand, nursing has the opposite problem. CNN reported that the U.S. is experiencing a shortage of doctors, nurses, and other healthcare jobs. There just aren’t enough skilled workers to meet the demand right now, and that means anyone who can get the proper training and credentials will have their choice of jobs to pick from. A registered nurse makes an average of nearly $70,000 a year, according to the Bureau of Labor Statistics. It’s hard work, and not everyone is cut out to deal with all the blood and messiness that comes with being a nurse. But the rewards are great for people who can get into nursing school and leave with a bachelor’s degree. If nursing isn’t right for you, look at other options like an associate degree in medical assisting. In general, members of the public respect nurses for all they do. A Harris Poll asked people to rank jobs by prestige, and nursing ranked fifth on the list, ahead of jobs like police officer, priest, and teacher, but behind doctors and firefighters. There are a few reasons for that. For starters, people generally respect those who make helping others such a central part of their life. Nurses are on the front lines of healthcare. Think about the last time you visited a doctor’s office. Chances are, the first person who sat with you in the examination room and asked questions was a nurse. They do the work that isn’t always glamorous, but is just as important as the tasks being done by those in white coats. Nursing doesn’t require four years of medical school, but it does require a lot of knowledge and expertise. They’re expected to perform things like draw blood and measure temperature, which means a lot of practical knowledge is required. But they also have to keep up-to-date with the latest medical developments. They’re not going to perform a mastectomy, but they’ll need to know facts about breast cancer to assist surgeons in the operating room. Nurses get a lot of respect, but it’s still true that a lot of what they do goes unnoticed by the public at large. It’s easy for some people to dismiss nursing as “women’s work,” as if all the important doctor stuff should be done by men alone. 90 percent of nurses are women, but there’s still a wage gap between male and female nurses. That’s not a reason to avoid nursing as a career, but it’s something to be aware of as you enter the field.